Today is my daughter’s last day of daycare before Easter. 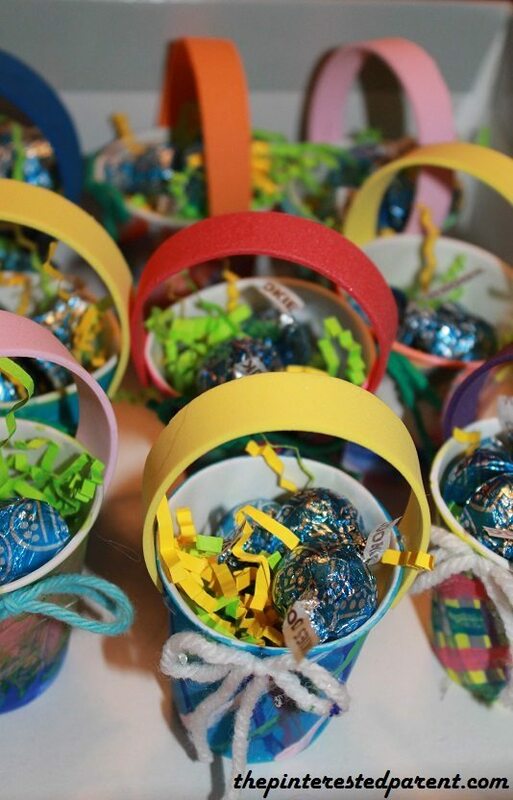 Last night we made a few Dixie Cup Easter baskets for her daycare friends. We had Dixie cups everywhere. 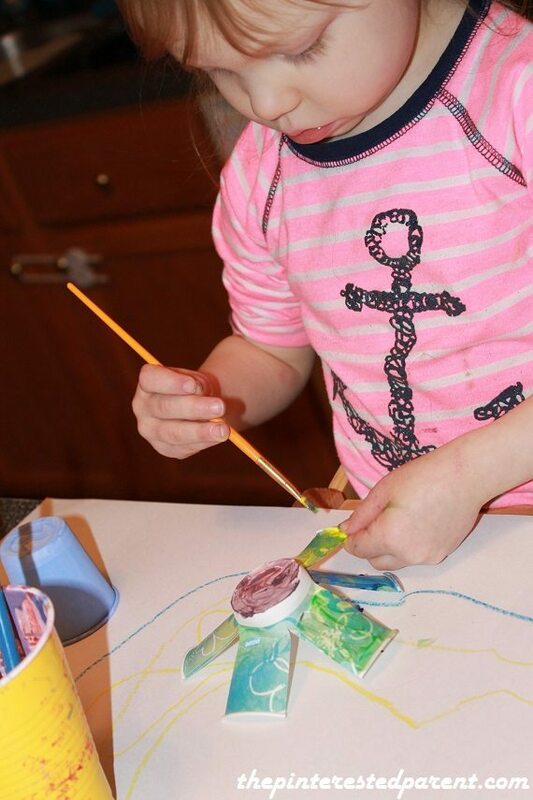 While our cups were drying, we continued to play and experiment with our other cups. Since it is finally feeling like spring, we thought we would plant some spring flowers around our house. 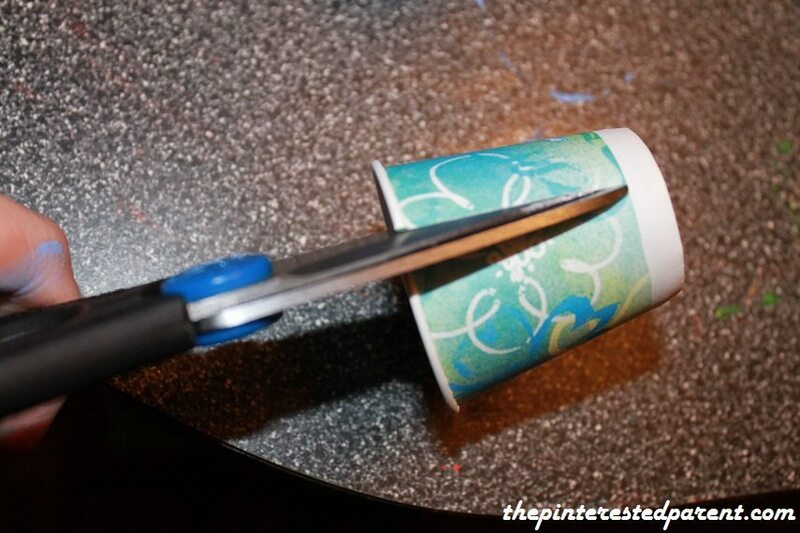 Make 6 equal cuts around a Dixie Cup leaving about a 1/2 inch at the bottom of the cup. 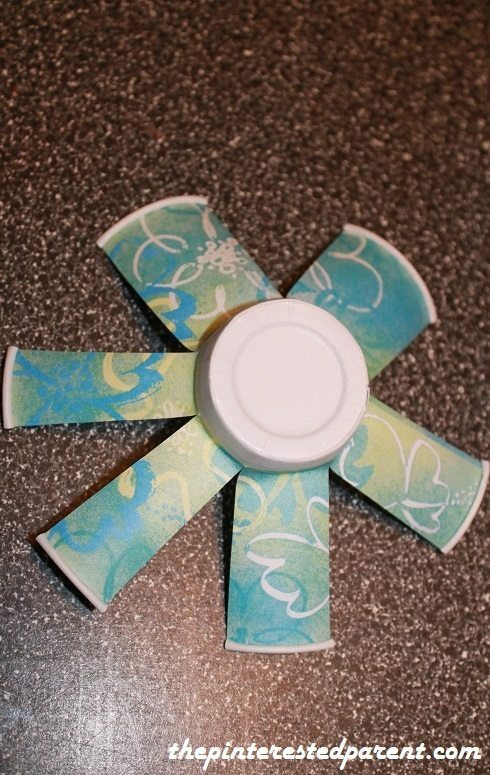 Fan out each cut section as shown. Poke a hole in the center of the cup. 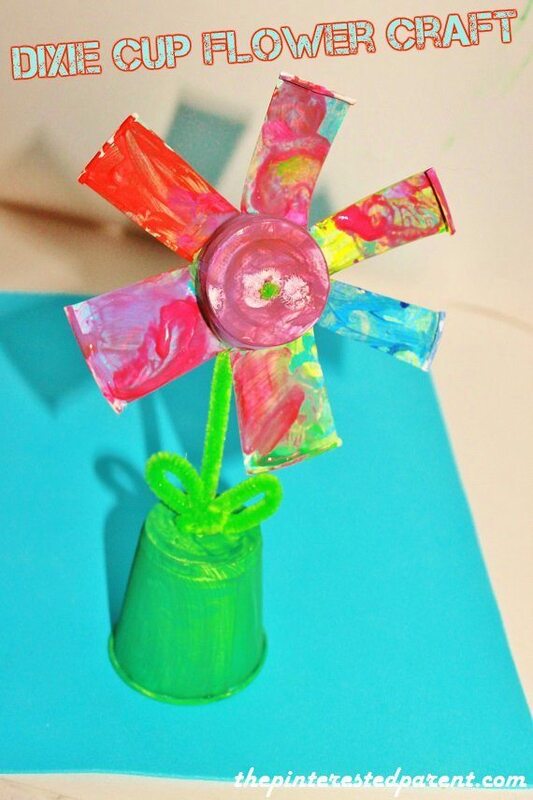 Paint your flowers in the colors of your choice. 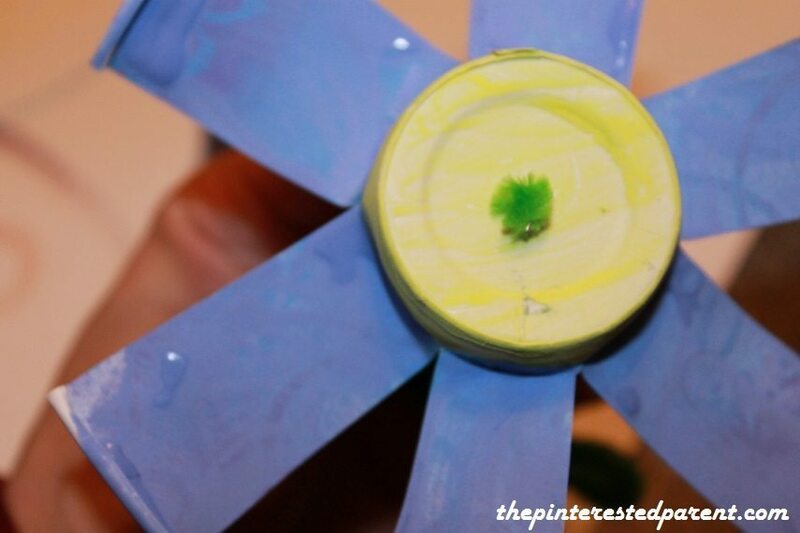 Poke a pipe cleaner halve through the center of your flower & bend at the end slightly. 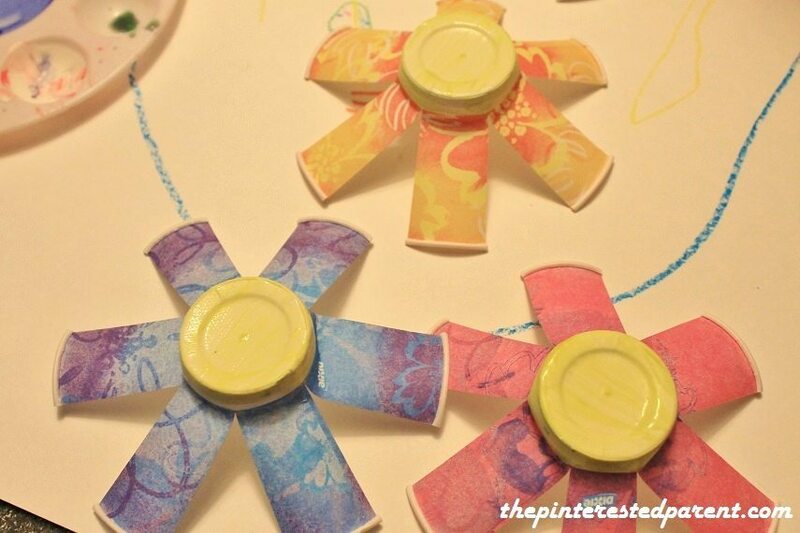 Bend the pipe cleaner on the back side & glue or tape into place to make a sturdier flower. 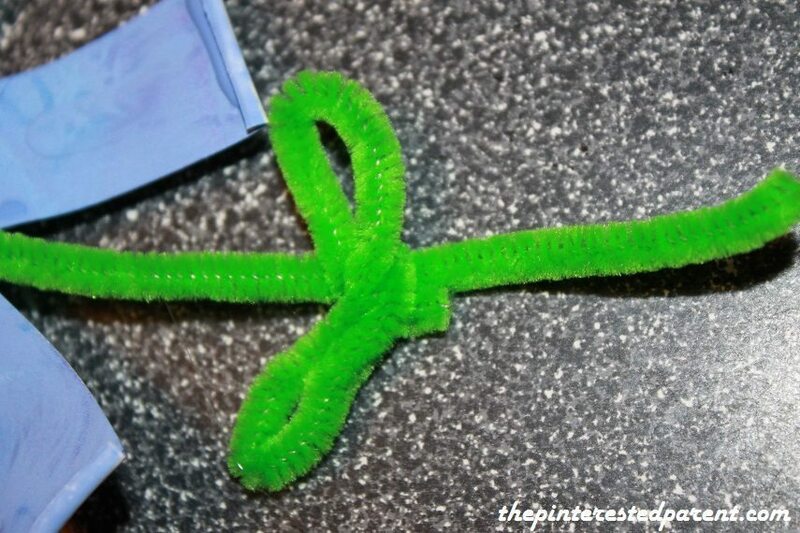 Use the other pipe cleaner halve to form leaves around the stem. 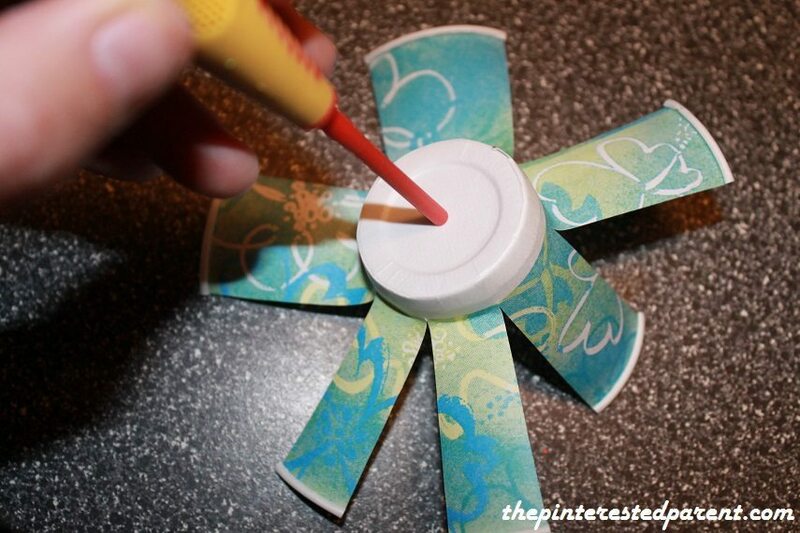 For an added effect, poke through another Dixie Cup to form a holder for your flower. Thank you Mari. 🙂 You have a great Easter as well.